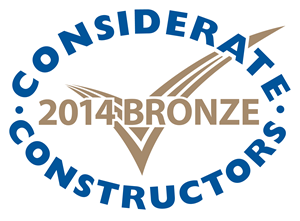 At the beginning of 2018, CT Construction were appointed by Galliford Try, as specialist sub-contractors to carry out the construction of two separate RECO Walls in Stanton Cross, Wellingborough – a new major development offering approximately 3,650 new homes and 3,000 new jobs to the local community. The project involved using two distinctive systems in order to construct the walls, which once erected were capped with reinforced concrete and parapet walls. 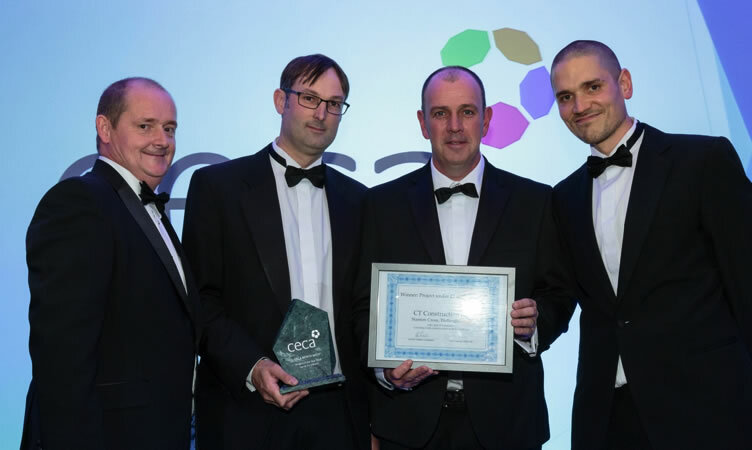 Upon near completion of the works, in October 2018; the project which has cost approximately £750,000, won the CECA North West Small Project of the Year Award with a value of under £5 million. 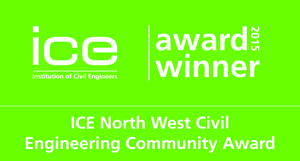 In February 2015 the Dove Stone Hydro Scheme in Saddleworth, Greater Manchester, won the Community Award in the ICE (Institution of Civil Engineers) North West Annual Awards. The £516,000 project - funded partly by a £220,500 grant from Defra (the Department for Environment, Food and Rural Affairs) and partly by 160 shareholders - was brought to fruition thanks to a partnership between private company United Utilities and volunteers from the Saddleworth Community Hydro group, with CT Construction as the principal contractor, responsible for translating plans into action. 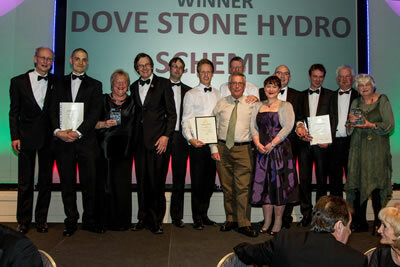 The Dove Stone Hydro Scheme generates a net income of over £20,000 a year as well as enough electricity to power 75 houses, using reservoir water that would otherwise be wasted. The designers say the scheme effectively prevents the emission of 164 tonnes of carbon dioxide into the atmosphere each year and saves an estimated 3 million litres of water per day. John S Tolputt, managing director of CT Construction, a Chartered Engineer who is a Fellow of the Institution of Civil Engineers, said: We are delighted we were able to play a key role in transforming the aspirations of the Saddleworth Community Hydro Group into a reality and help to provide a sustainable source of electricity for the local area. 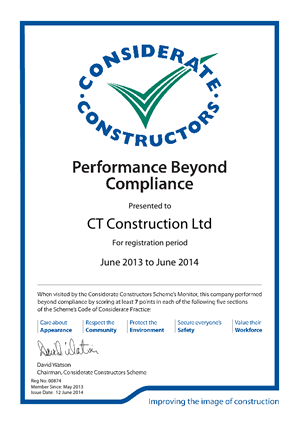 This small but technically demanding project lent itself to the skills and expertise of CT Construction and was carried out safely and to a high standard for which our construction team can be justly proud.